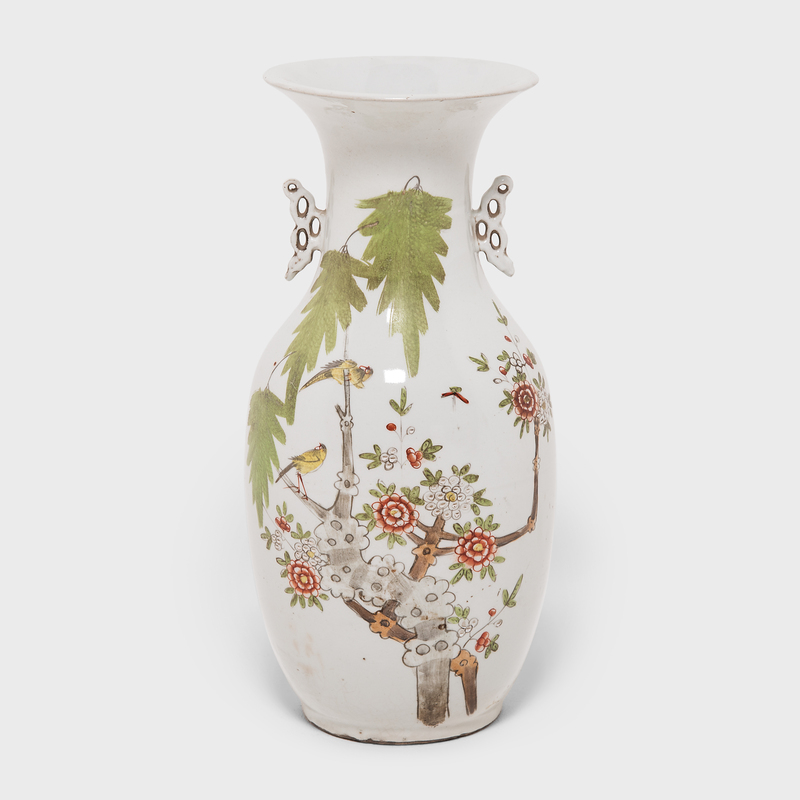 This vase is the perfect example of enduring Chinese symbolism and design. 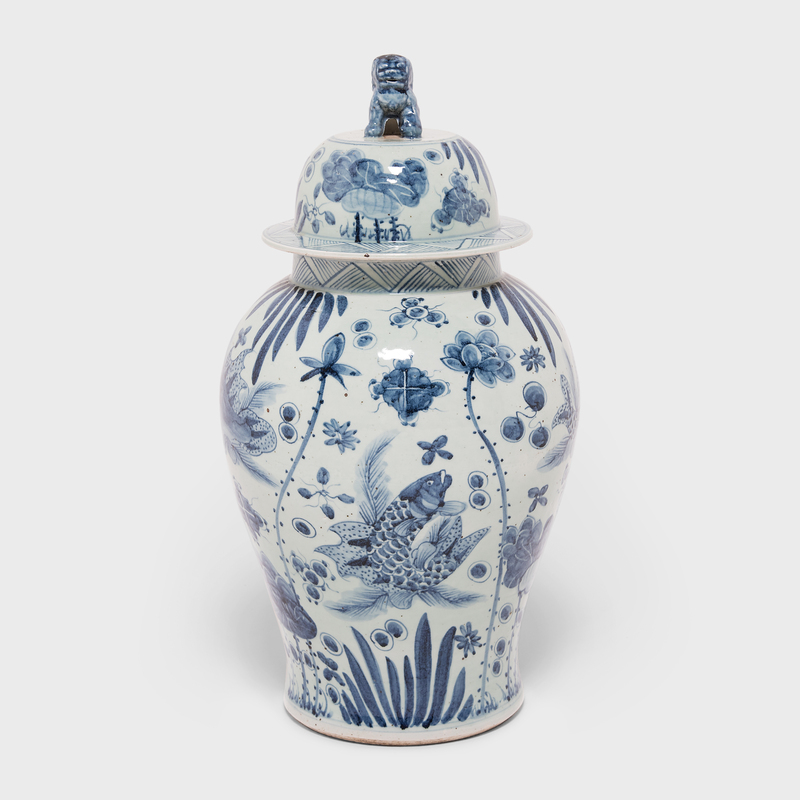 Each side of the ginger jar bears a cartouche painting containing a picturesque scene. Attendants watch over young boys playing in a traditional garden, holding lotus branches, butterflies, and small charms. 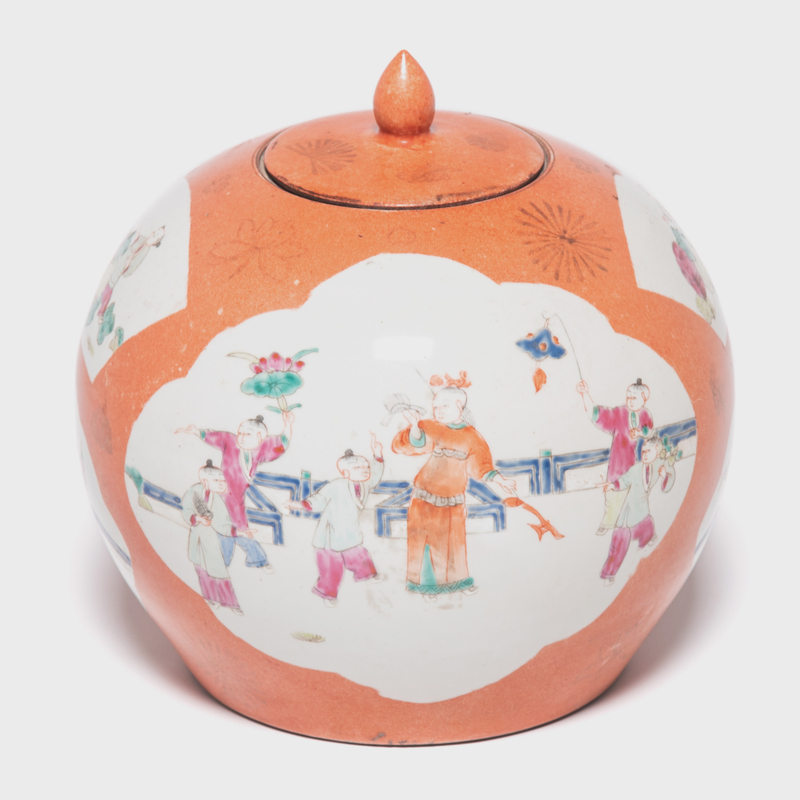 All of these motifs express wishes of prosperity and longevity to the intended family. 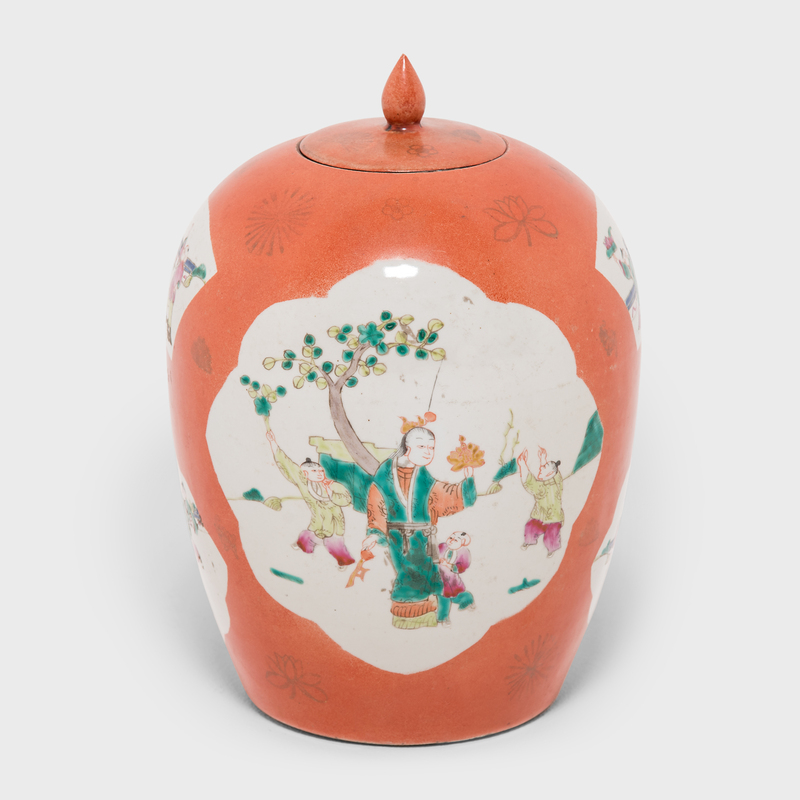 The white frames of each panel open like windows against the matte persimmon base glaze, giving an impression of parting clouds to reveal the imagery within. 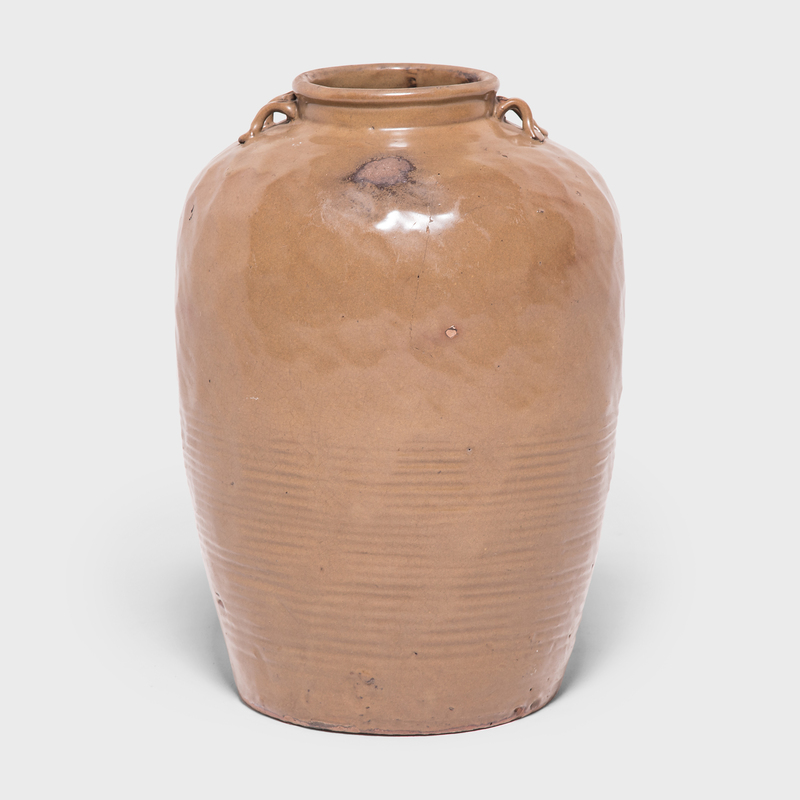 Fired during a time when western influences were making inroads throughout China, this ovoid vase sought to reinforce fundamental aspects of Chinese culture.